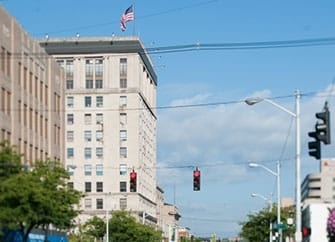 As one of the oldest and most prestigious law firms in eastern Kentucky, clients trust us to provide effective, trustworthy legal guidance during business transactions. Our attorneys are highly skilled and dedicated. Whether negotiating a contract, assisting with a merger or acquisition, or handling the purchase or sale of commercial property, we keep your financial interests and business goals as a top priority. Our skills, our commitment to excellence and our history of results have made us the go-to firm in the tri-state area for all business-related matters. At VanAntwerp Attorneys, LLP, our attorneys have experience handling matters ranging from complex transactions for multinational corporations to routine issues for local businesses. We understand the myriad issues our clients face, whether locally, nationally or internationally. When facilitating transactions, we draw upon this knowledge, taking specific steps to limit our clients’ potential liability without limiting their potential. To learn more about our business transaction services or to discuss your legal needs with our team, please call 606-329-2929 or contact us online. Our office is in Ashland, Kentucky.